In October, Titan Consulting sponsored the charity event at the SAPinsight SEE18 conference in Plano, Texas. The Ronald McDonald House in Dallas benefited from over 150 care kits that were assembled by attendees at the event. 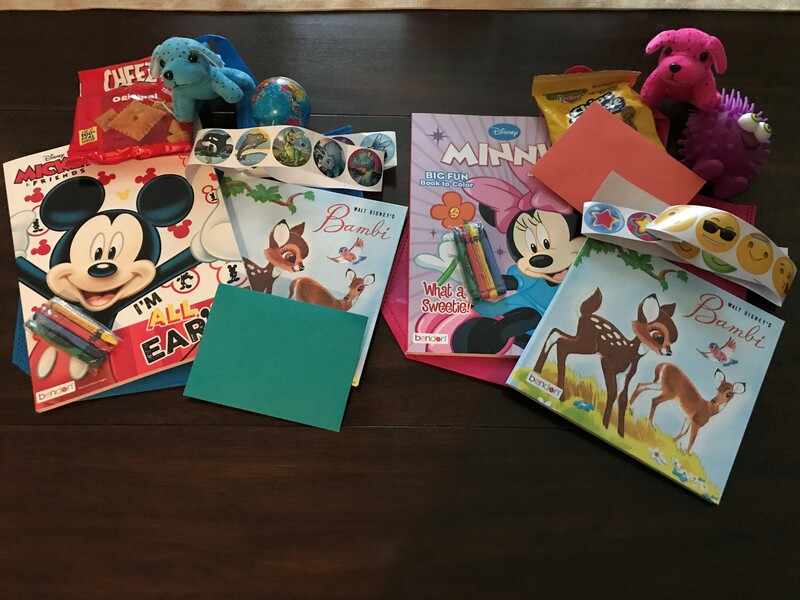 The colorful reusable bags were made up of coloring books, crayons, a small stuffed animal and other children’s items. Many attendees also included a personal note to let the child and family know they were thinking of them. Families that are staying at the Ronald McDonald House in Dallas are able to grab one of these as they are coming or going for treatment. The Ronald McDonald House provides a place for families whose children are receiving essential medical care. The house includes 52 private bedrooms, playrooms for the children, outdoor play areas, a dining room, etc. To learn more about the Ronald McDonald House in Dallas visit http://rmhdallas.org. We’re always looking for a good reason to have a cook out! We invited some friends over for a backyard bar-b-que a few weeks ago to celebrate. A few of our friends have kids, so we needed to know how many burgers, buns, and beverages to get for the big cookout. We planned for 18 burgers to generously feed everyone. We love Bubba’s Grass Fed burgers and they are sold in packages of 6 burgers; we bought 3 packages. Our favorite rolls are the Kaiser rolls – scrumptious, big, fluffy rolls, great for burgers. They are sold in packages of 8 – all burgers were sold in packages of 6, and rolls were sold in packages of 8, how odd! We had to buy 3 packs of rolls. It seemed like such a waste and some of the rolls would eventually get thrown away. This phenomenon is not limited to burgers and rolls and happens in a variety of ways across the supply chain. After doing some research, this is known as the Bullwhip Effect. The Bullwhip Effect is a distribution channel phenomenon in which forecasts yield supply chain inefficiencies. It refers to increasing swings in inventory in response to shifts in customer demand as one moves further up the supply chain. Typically, this is a bi-directional issue; demand signal distortion up the chain, or supply chain integration down the chain. At MIT, all incoming students play the Beer Game. 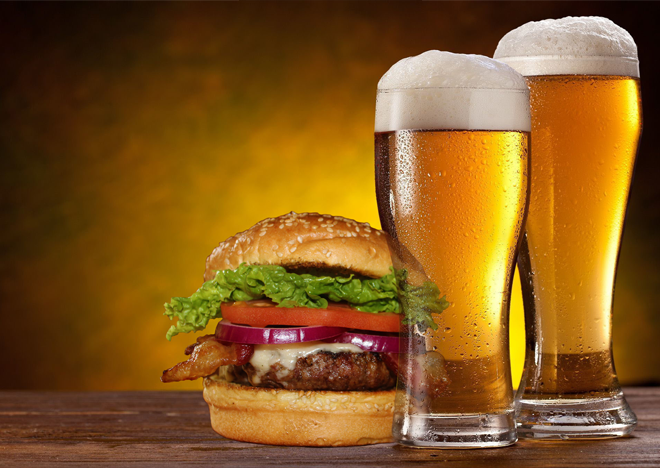 The Beer Game simulates the complexities, assumptions, and inefficiencies that occur in a typical supply chain. This game has been played since the ‘60’s, and it continues to frustrate the smartest of these students. MIT also hosts the game for Fortune 500 companies with similar results. How is the Beer Game played? Sorry, not with real beer! Each team in the Beer Game consists of people at four stations, representing a beer retailer, a wholesaler, a distributor and a brewery. The team starts off with some chips on the table, representing cases of beer. Each round, up to 50 rounds, the retailer draws a number indicating weekly customer demand; players at the other stations write their expected demand on slips. 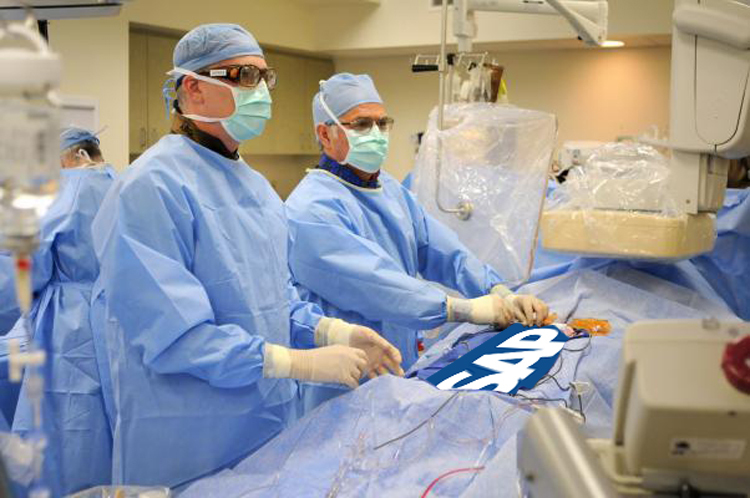 The team circulates the slips and moves chips through the supply chain, but the teammates cannot communicate directly. The goal is to run the supply chain as efficiently as possible. Each team’s four stations are penalized for an accumulation of inventory (50 cents per case of beer, per week), and for unfilled backorders ($1 per case of beer, per week). The team with the lowest score over 50 weeks is the winner. Why are some of the smartest students and most admired companies frustrated by this game? They continue to use planning and forecasting principles put in place in the ‘50’s and ‘60’s. SAP IBP helps to reimagine the forecasting, inventory, and supply chain processes to reflect today’s reality. Today’s reality reflects global supply chain networks utilizing outsourced partners i.e. contract manufacturers (CMO’s/3PL/s). This places tremendous burden and dependency that everything will run smoothly. Let’s face facts, inventory levels will never be a perfect match of supply and demand. The goal is to minimize the stock outs and maximize customer satisfaction. How can SAP IBP achieve these ambitious goals? IBP leverages some key concepts in the DDMPR – Demand Driven MRP initiative that is the driving force behind a new approach to supply chain planning. You can read more about this approach and buy the book here. Two key concepts IBP uses from the DDMRP methodology is Decoupling and Buffer Profiles and Levels. Traditional MRP is sequential and changes at either end of the chain creates additional disturbances and distortions in the supply chain; the classic bullwhip effect in action. For example, if there is a change to an existing order or inventory level, MRP wants to fix it and will create additional orders, causing additional inventory. DDMPR, by contrast is an independent model and it decouples supply and demand to minimize or block the bullwhip effect. This allows inventory levels to smooth out and recalibrate back to a normal range of supporting your metrics of customer satisfaction and working capital. The second concept that IBP leverages is Buffer Profiles and Levels. IBP recalibrates the necessary inventory levels throughout the supply chain to guide the appropriate inventory levels. The stop light model guides the planners on the course of action. The action taken presents the various buckets related to order frequency and size, primary coverage, and safety stock. Where are you in your digital supply chain journey? Do you need help digitizing and automating what you do best? Or do you need thought leadership on how to map your path to a digital supply chain? Contact Joseph Lamb, joseph@titanconsulting.net, or call him at 972-743-2872; or contact your Titan Consulting Director. You can also see additional information on Titan Software at Titan Consulting. You saw the announcement on Bloomberg! Wall Street is applauding the news as the stock ticks upwards! Everyone is excited, but now the head-scratching work begins – how do I break out my SAP system and separate the divested data? Divestitures are commonplace. What is not so common and often complex is how to manage the data according to the terms of the divestiture. The TSA (The Severance Agreement) typically defines what stays and what goes. A primary driver around the right approach and effort is the sensitivity of the data – what data do you want the acquiring company to see. Helping some of SAP’s largest customers with divestitures we provide knowledge, expertise, and assurance that your divestiture happens in your timeframe. A carve-out is the most common approach for a divestiture. When you leave on Friday the divested company and related data is there. On Monday when you return, it’s gone; there is no trace of the divested company except an audit trail. One example of a carve-out project we successfully completed on time while guaranteeing the results. A high-tech company had to delete all traces of the divested business. The carve-out included configuration, master data, and transactional data. SAP Landscape Transformation (LT) is the perfect tool for this type of project. In this situation the data was organized at the Company Code level – the most straightforward approach ensuring a successful outcome on a tight timeline. Not all divestitures are this straightforward, requiring more planning and effort. If the divested business was organized either above or below the company code, expect additional complexity, effort, and duration. For example, the business is organized across Profit Centers, Business Areas, Plants, or by global Business Segments, these models are inherently more complex. Another business case, a global chemical company sold off a division to a competitor. The TSA required that ALL related data must be removed from the existing system. The selling company did not want their competitor accessing any trade or operational secrets. However, after reviewing their landscape, data schema, and business processes it was determined the data was commingled at lower levels. For example, sales orders, deliveries, and invoices contained line items from the divested and retained business units guaranteeing a 100% deletion of all the data was not realistic or reasonable, e.g., deleting line items causes the header data to go out of balance with historical values such as amount, pricing, freight cost, weight, and more. The line item details were needed to support the header information for compliance, audit, tax, and financial reporting purposes. After the TSA was revised several times, they engaged us to help finalize the agreement. We met with the stakeholders including CIOs, CFOs, and attorneys for both companies and advised them on the realistic options, timeline, effort, and assurances based on our system analysis and comparable results we provided for other clients. Our solution combined the best of LT’s capabilities plus some creative expertise of our own to deliver the system. The solution included plant reallocations i.e. change of ownership of plant from one company to another, deletions, and data masking to ensure all data was removed and confidentiality was not compromised. The other options; Clone and Go, Transfer, and Data Masking, are dependent upon the nature of the divestiture. We have advised and guided some of SAP’s largest customers on the options and the right Roadmap on divesting, harmonizing, reorganizing, and consolidating their SAP environments – and we guarantee your transformation results! Our clients have used our experience and capabilities to drive transformation projects, assessments, SAP Landscape Optimization (SLO) and Landscape Transformation (LT) workshops and training sessions. If you want clarity, confidence, and assurance on how you can successfully transform your SAP Landscape, contact, Warren Norris at 972.679.5183 or warren@titanconsulting.net to arrange a call to help you with your SAP Landscape Transformation. Data is exponentially increasing every day! According to EMC, the amount of data is doubling every year. By the year 2020, there will be an estimated 44 ZB; a zettabyte is 1021 bytes. Put another way, in the year 2013, a stack of tablets containing the world’s data would stretch two-thirds of the way from the earth to the moon, about 160,000 miles. By the year 2020, the tablets containing this data would stretch to the moon and back 6.6 times or approximately 1.6 million miles. 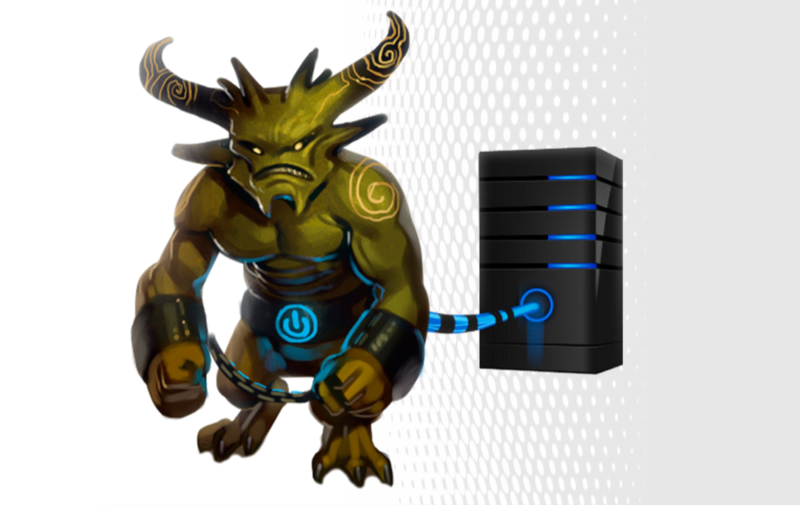 How do you take charge of your data management beast? Or will you treat it like the US government treats the deficit and kick the can down the road? Designing and implementing an enterprise data management strategy, also referred to as Information Lifecycle Management (ILM), is a tricky problem. In many companies, this problem does not get the priority it deserves. Excess and ill-managed data cost you time and money. Think about this the next time you perform a client copy or worst; you can’t perform the client copy because it takes too long. In the past, archiving was the answer. In some cases, archiving is still in your data management tool belt, but most likely, it is only one of many strategies and approaches to managing data. A portfolio of applications should already exist. 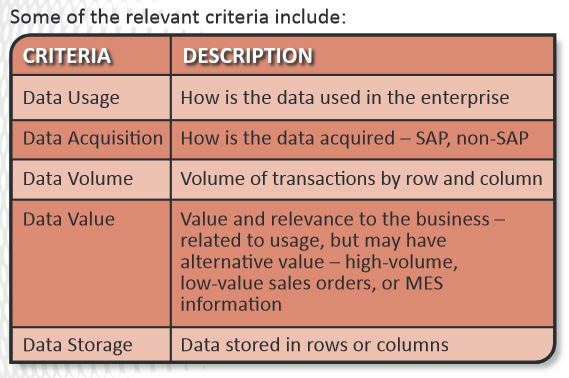 Assess how each application fits into your Data Management strategy. This is usually quickly assessed based on owners, users, usage, and how digital business processes are impacting this application. The outcome of this assessment becomes an input to your data management policies. You may be surprised by the overlap of applications and the hidden costs of redundant data that exists and becomes a quiet cost-driver – excess and redundant data does cost you time and money. For your Enterprise Applications, forecast your data growth, consider how digital processes will impact these legacy processes. Adjust your forecasts for modern technologies such as IoT, Analytics, In-memory platforms, and the related impact on the stack. How often do you hear the phrase,” I will buy more storage!” Do you buy a bigger house when your garage is full of old clothes and furniture? No, you clean it up, get rid of unwanted stuff that does not add value and takes up space. Why would you continue to buy more storage when your data volume is larger? You still need to perform some housekeeping – archiving activities – and get rid of the unworn items. Performing the design and implementation of a more complex enterprise data scheme is more costly and takes more time to get results. If HANA is part of your Roadmap and it should be, it is important to put a strategy and plan in place to rationalize your data. You pay a premium for in-memory storage and carrying excess data increases your investment and lowers your ROI – more data, higher cost, less value, lower ROI. Check the facts from above; you use only 15% of your data. Implementing a Data Management Strategy consisting of data tiering and periodic housekeeping will help you run more efficiently and economically. Ask your hosting or cloud partner how they manage this for you. The answer you hear is they will implement your strategy or adopt their standard practice – who knows your data better than you? 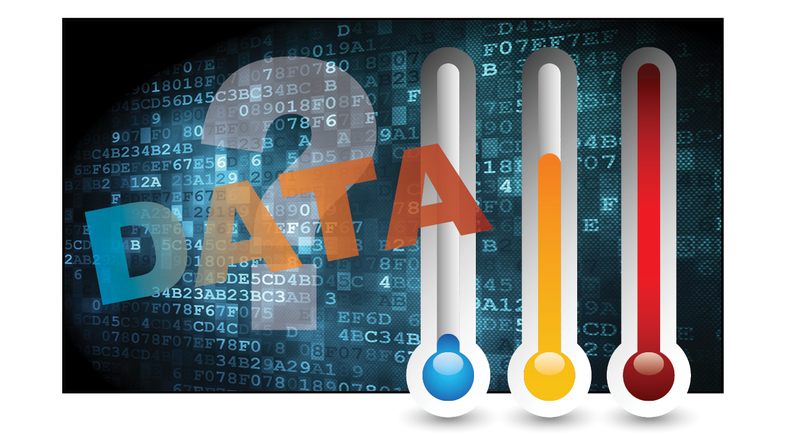 Big Data does create cost, performance, and management issues for you. At a minimum, implement an archiving strategy and execute it. If you do not have an archiving or Data Management Strategy in place or need an experienced team to review your strategy, contact Blake Snider, blake@titanconsulting.net, 469.835.5358; or your Titan Consulting Sales Director. Digitization is all around us. Business leaders are talking about “Digitization”, and “The Amazon Effect”, Disruption and Adaption – what is it and how do I get there? To get these answers, I sat down with David Malenfant, Director for Texas Christian University’s (TCU) Center for Supply Chain Innovation at the Neeley School of Business. Dave is a Supply Chain Thought Leader who has acquired over 25 years of experience driving change and performance improvement across the global supply chain. A simple example, Uber is a digital supply chain. The only time a human is involved is the moment the driver picks you up to take you to your destination. All other activities: demand, supply, logistics, payment, customer rating, are digitized – device-to-device automation. More automation in the supply chain results in better accuracy in the processes of planning, forecasting, procurement, and consumption of materials and services. At a holistic level, the value of digitization is to support the coupling of the demand chain to the supply chain. Digitization is the driver of “the perfect transaction, every time!”. The “perfect transaction” is where the demand chain – your customer’s demand signal, i.e., sales order – triggers the right supply chain activities to buy, make, and ship. Such that the product ordered is delivered on-time, for the quantity requested, at the agreed upon price. In dealing with the ”Amazon Effect,” your supply chain needs to run in real-time and use technology to provide customers with the services they expect. This is relevant for omnichannel sales and omnichannel logistics. In the discussion of the digital supply chain, the more automation, the better the performance, lower costs, better customer satisfaction and greater confidence in the metrics. 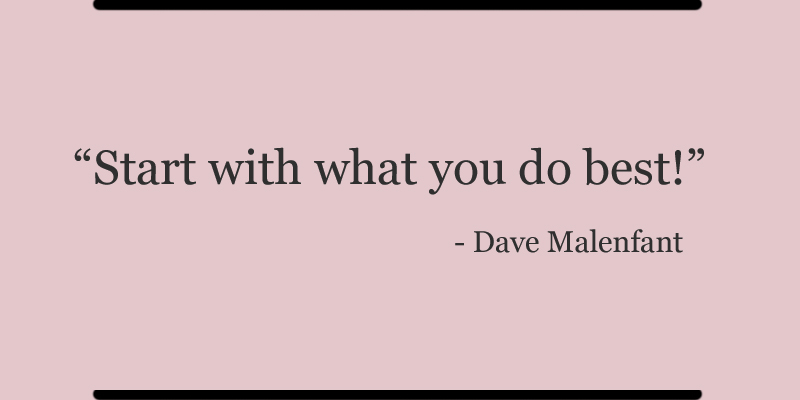 “Start with what you do best!” is Dave’s advice. The dilemma for many companies is where to start? Historically, the place to start is with the low-hanging fruit. This approach has proven its challenges, long implementation timeframes, lack of ownership, and the ramifications of fixing broken business processes. Your scorecard should tell you what processes you are “good-at.” For example, if on-time delivery is where you are your best, then how will digitization improve your scorecard. The place to start for deliveries might be digital signatures on delivery. Proof-of-Delivery (POD) is a function that generates many customer issues. Having a digital POD easily accessible can improve your delivery scorecard, reduce complaints, and increase on-time payments. Scorecarding is a digital best practice, measuring the ‘facts’ or ‘truth’ about your business processes. Ensure that you capture the right metrics – the value of data generated by digitization is worth the investment and keeps you on the path of continuous improvement. Frame or Re-Frame Your Digital Supply Chain? What if you don’t know where to start? Wait-and-see is not a winning strategy! Too many excuses are made about Amazon, Walmart, or whoever the competition is not able to win with their current strategy – it defies industry norms. If I was Fresh Market, Sysco, or anyone in the food service industry, I would revisit my digital supply chain. Now that Amazon is in the food service business, wait-and-see is a bad decision! One industry leader continues to staff their customer service center as a differentiator insisting that their customers expect this level of service. Unfortunately, this is a cost driver in the supply chain and adds little value to their product and services. Their margins are shrinking, and their leadership role is dwindling. The real reason? They were afraid to change. It would affect jobs; the way people view their jobs and roles. Newsflash – jobs and roles have always changed. How many people are in your typing pool today? You may need to re-frame your questions and objectives for what you expect from digitization. If you are not certain where to start, Dave’s recommendation is to, “assess digitization by focusing on people, processes, and technology”. This classic assessment model identifies opportunities, organizational resistance, gaps, metrics, risks, and tools. With this justification in hand, the roadmap to supply chain digitization is a matter of value, focus, and priority. Check out our recent article “Why Some Mobility Projects Succeed And Some Don’t?” for real life stories. Where are you in your digital supply chain journey. Do you need help digitizing and automating what you do best? Or do you need thought leadership on how to map your path to a digital supply chain? Contact Joseph Lamb, joseph@titanconsulting.net, or call him at 972-743-2872; or contact your Titan Consulting Director. You can also see additional information on Titan Software at Titan Consulting, www.titanconsulting.net. Are you ready for ASC 842 affecting Lease Accounting in the US? How about IFRS 16 to handle your new Lease Accounting requirements abroad? Many companies are still in the investigation and planning phase. They are a global manufacturer with thousands of assets worth millions in operating leases for equipment, forklifts, automobiles, and other devices. These assets are affected by the new reporting regulations. The conversion effort is a herculean task! • The standards are for ASC 842 and IFRS 16 and are effective January 2019. • Businesses worldwide are required to bring most leases on their balance sheet as obligations and liabilities by January of 2019. The impact of the regulations affects the Financial Statements, Systems, Procedures, Asset and Lease Reporting, and Change Management. The date is coming quickly, and a recent survey indicated that the majority of companies have low-confidence if they had to convert today. By comparison, many companies are struggling with the revenue recognition changes, IFRS 15, and with this as a backdrop may struggle to meet the effectivity dates for IFRS 16. Any public company that has property and operating leases for property, equipment, vehicles, and possibly devices, for example. Companies like Walgreens, CVS, McDonald’s, Verizon, AT&T, CDW, and Xerox are affected by this regulation. Walgreens alone has over 33,000 properties worth 100’s of millions of dollars. This has an enormous impact on the balance sheet! • Does SAP Lease Accounting address the requirements? What are my options with SAP? If you are the lessee of equipment, automobiles, or devices which is a large portion of our audience, you have a few options. Of course, it depends upon which release of SAP you use. • ECC – requires either a 3rd party solution or customized integration to Fixed Assets and Lease Accounting. • S/4 HANA 1709 on-premise – has Lease Accounting, but will need either 3rd party integration or customization. • S/4 1802 cloud edition (CEE) – According to the release notes, the Lease Accounting module addresses ASC 842 and IFRS 16. There are a few 3rd party solutions on the market. Nakisa is SAP’s certified solution for integration to ECC and S/4 HANA. 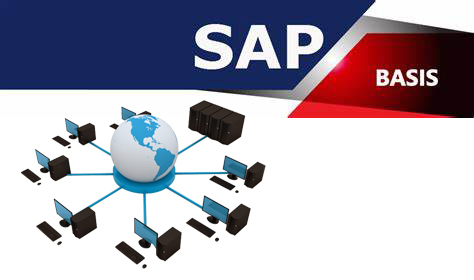 If you are the lessor of the property, you will need to use SAP Real Estate (REFX). We will address the REFX components in a separate article. What else is different about the new regulations? The use of present value (PV) of future cash flows. The present value of the asset and liability is recorded on the books rather than at historical cost. For example, if you have a contractual payment of $50,000 over five years, the present value of the cash payments, assume $45,000, is the recorded value. What impact does this have on your SAP Financials System? 3 – The migration and restatement of the financial statements. What are some of the ‘Aha’s with the migration? To start, collecting the detailed information could be significant. Each lease that qualifies under the new regulations will require the interest rate, payment schedule, termination and extension clauses, and statements validating the right of use. In some situations, if this information is captured, it is retained in multiple locations or departments and at best on spreadsheets. Also, the payment for each lease needs to separate the equipment and services components. 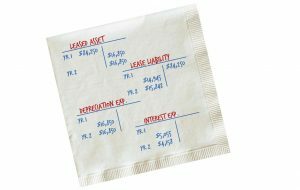 The service component of a lease is not capitalized. For example, payment for an equipment lease may include a service component. The service component is an operating expense and excluded from the new asset and liability. Is there a Change Management Impact? 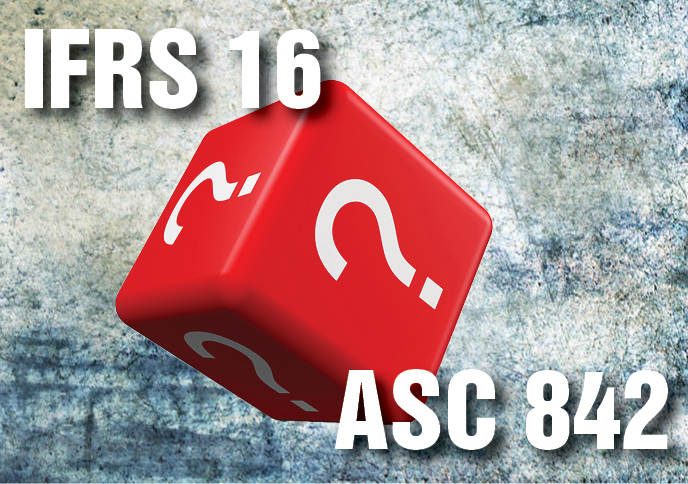 From a business change management perspective, ASC 842 and IFRS 16 will have a massive impact on your Lease, Accounting, and Operations teams. Does your current CAPEX approval process include leases in the process? 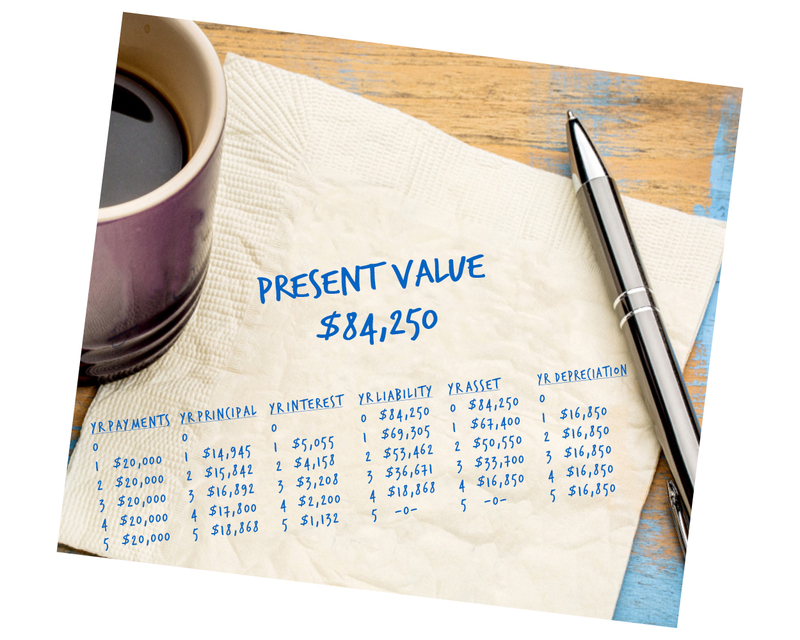 Does the process capture the information to record the asset and liability at present value? For many companies we spoke to, operating leases are not included in the CAPEX approval process. Fortunately, in the US, the FASB (Financial Accounting Standards Board) has relieved some of the reporting requirements for prior reporting periods. FASB is now saying that prior period restatement is not a requirement. Even though this is no longer a requirement, many CFO’s and investors will want to see the comparative impact of the balance sheet and P&L. See our Detailed Accounting Guidelines for handling ASC 842 and IFRS 16. The effort to convert your current operating leases could be a monumental task and time is running out. Do you need help evaluating the impact and options of these new regulations? Our Advisory Services team can assess your Lease Accounting requirements and recommend safe and efficient methods for adapting to ASC 842 and IFRS 16. For help, contact Warren Norris, warren@titanconsulting.net, 972.679.5183; or, contact your Titan Consulting Director. You can also see additional information on our Advisory Services page at www.titanconsulting.net. September, we heard about one natural disaster after another. Harvey flooded Houston, then Irma knocked out the Caribbean and Florida, fires engulfed parts of California, and a 7.1 monster earthquake rocked Central Mexico. We all know someone that was affected by one or more of these catastrophic events. For many of us, our lives have returned to normal. In these disaster zones, the nightmare continues. In October, “unleash the power of together®” was on full display in The Charity Room at this year’s SAPinsights Conference in Irving, TX. The SAPinsights team raised the bar because the goal of 300 Care Packages to help the victims of these natural disasters was achieved on the first day. Attendees from Texas and throughout the US and Mexico helped collect and wrap Care Packages. The feeling of gratitude and charity was contagious. One grateful attendee from Houston put more than one Care Package together. These packages consisted of personal care items, diapers, or t-shirts. She recounted the horror, tragedy, and miracles that captured the nation’s attention for weeks. While she was not affected, her neighbor’s house is still unlivable but was able to evacuate and get to a safe place before the storm’s fury hit. She was in a state of shock as she watched helplessly as the cameras inside of her house captured the slow rise of water overwhelming the house until the camera was knocked out. Ashley Luttrell, Rachel McIntosh, and Shomari Taylor were the organizers of this year’s SAPinsight charity event. Ashley expressed deep gratitude for Titan Consulting’s continuous support to SAPinsight by sponsoring the charity event. “Titan is a great sponsor and the type of company that we appreciate as a Texas neighbor!” Ashley said. The SAPinsight and ASUG Chapter meeting has passed, but you can still help with your contributions. 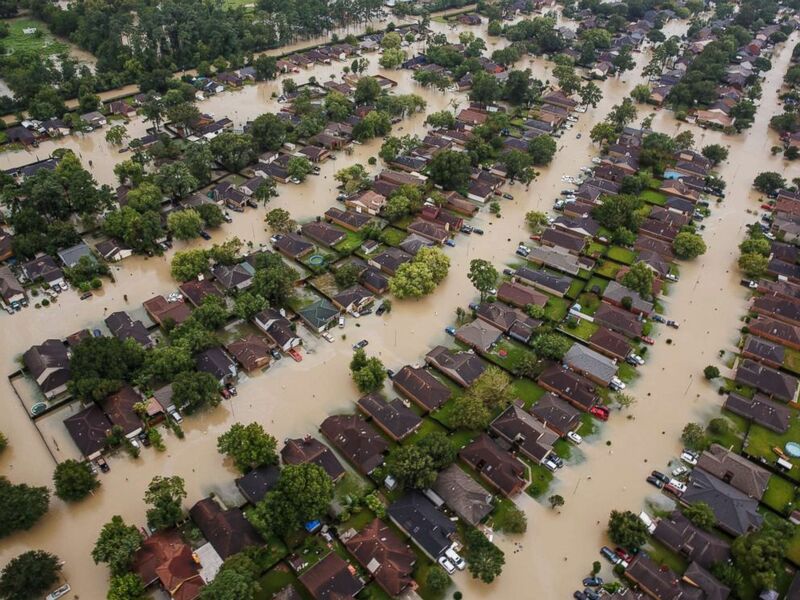 We have embraced Houston Texans Defensive End, JJ Watt’s Houston Flood Relief Fund which has now raised over $37,000,000, but families still need your help! Thank you to all those who participated in the SAPinsight Charity Room event! Is your open architecture, compliance, and disruption getting too complex for your IT teams? The powerpoint looked easy, but getting all the work done is not. You have core infrastructure and administrative activities that your basis team performs, but do they have the time or skill set to perform all the tasks when needed? If it doesn’t get done, it can get expensive and messy. Titan’s Fractional Consulting Services can alleviate the stress, worry, and frustration of these tasks not getting done or done on-time. These technical tasks and activities don’t take up a lot of time – a few hours here, a few hours there. But when you add up the hours, it requires planning, unique skill sets, and often performed at the expense of core, mission-critical tasks. Our fractional consulting services are short-term engagements for specific or targeted purposes and results. For example, one client needed help upgrading their security protocols, SSL (Secure Sockets Layer) and TSL (Transport Layer Security). Software vendors like SAP and Salesforce use these security protocols. The certificates expire on a certain date and require updating. The updates occur infrequently, and for a manager or administrator, it may be a secondary priority even though it is of high importance. If you do not perform these tasks often, it takes much longer than the few hours it takes for an experienced person. We brought in a Senior Consultant and performed these updates along with some other clean up tasks in a couple of days. For them, it is so much easier to bring in an experienced consultant to get this done and out of the way – less stress, guarantee results. Another client survived an internal audit, and the report disclosed numerous violations in their user roles. The audit report required immediate remediation for elevated risk violations in 60 days. Most consulting service providers and consultants will not pursue a short-term, high-intensity project due to risk and difficulty in finding the right consultant. At Titan, we recognize that these are typical events that occur in your business and we have a solution to help you – that is what we do, help our clients solve problems. Our solution, we brought in a Senior GRC and Security Roles Consultant that helped remediate the high-risk violations. He worked remotely for two weeks, full-time, and tackled the biggest issues. Then for the next four weeks, he was used part-time as an advisor, counselor, and hands-on fixer. The client met the 60-day deadline demanded by the auditors which helped in the eyes of Executives and IT Management. Fractional services are not used for just emergency situations, but that is where many clients need them. We also perform short-term planning and working sessions. Test Data Migration is a growing concern and effort for many clients. As ERP landscapes evolve in complexity and volume, putting together a timely, cost/value test environment becomes a challenge. It is not uncommon for a manager to spend weeks or months cleaning up orphan transports in the Test/Quality environment. Getting your TDMS strategy aligned is another area that can streamline your RUN phase of operations. One client was feeling this pressure after a few mishaps that resulted in some unexpected downtime due to incomplete testing data – yes it happens to other companies too. They realized that they had to improve their TDMS practices; spending weeks to prepare for a weekend shutdown was not an efficient way to support the business. • Current Metrics and Expectations. The result of the workshop identifies the strengths and weaknesses of the current model. Also, a list and timeline of opportunities and investments such as TDMS tools, critical test scenarios, and opportunities for improvement and cost reduction. The next phase of the workshop is to implement the recommendations and develop new benchmarks. Where do fractional consulting services work effectively to reduce risk, worry, and frustration? • Supplementing service level tasks when the backlog is too great! If you are interested in learning how Titan’s Fractional Consulting Services can streamline your operations, help you get more work done, or drive changes in your current processes, contact Warren Norris, warren@titanconsulting.net, 972.679.5183; or, contact your Titan Consulting Director. You can also see additional information on our Advisory Services page at www.titanconsulting.net.